Aside from the Air Jordan XX8 SE and Jordan CP3.VII, the tenth signature shoe of Carmelo Anthony was also released as part of the 2014 All-Star Crescent City Collection. 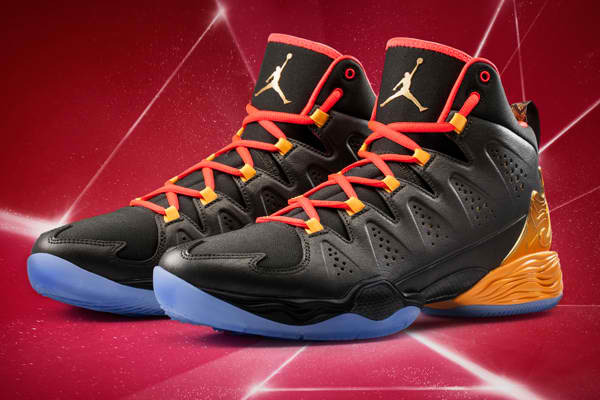 The Jordan Melo M10 “All-Star” is now available for just $165 per pair. The shoe, listed as the Sequoia/Metallic Gold-Infrared 23-Atomic Mango colorway of the shoe, sports a sequoia green-based upper part paired with gold Jumpman branding, infrared laces, and atomic mango heel counter. This is arguably one of the best-looking editions of this latest signature shoe so make sure to grab one because it will be available on a limited basis.